Our next completed title will be at the printers shortly. Mindful of the issues caused by announcing some of previous books too early and then hitting snags, we have waited until this one is almost there before making a firm announcement. This book covers an eighteen month period in the history of one of Britain’s biggest rock groups, Deep Purple. Having fired two of their founder members in mid-1969, and almost broke due to the collapse of their American record label, the band set about forging a new line-up, stage set and album. 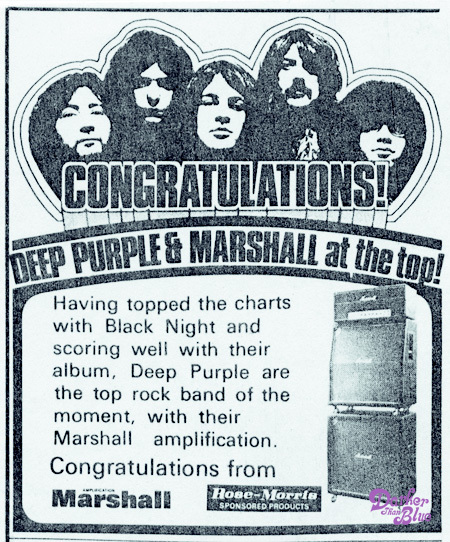 When Deep Purple In Rock appeared almost exactly a year later, it exceeded all expectations, and stayed in the British album charts for over twelve months. Alongside Led Zeppelin and Black Sabbath, Deep Purple are one of the founding trio of British hard rock. This book helps explain why. You can see the cover and read more at the forthcoming page. Easy On The Eye have tried to steer clear of the normal trade hardback approach to rock histories (which invariably squeeze a few pages of badly laid out photos in the middle of the text), and instead gone for a well designed, fully illustrated book with photos and memorabilia on almost every page. Publication is timely as 2013 sees the band’s 45th anniversary, with a new studio album (their first in eight years), glowing reviews and live shows due. This entry was posted in Deep Purple, News and tagged Deep Purple, In Rock, softback by simon robinson. Bookmark the permalink.